Welcome and thank you for your interest in The National Organization for Minority Architects – Pittsburgh Chapter (NOMA PGH). As a national organization comprised of over 27 professional chapters across the country, NOMA has grown and progressed significantly since its beginnings in 1971. NOMA, works diligently and tirelessly to aid in the advancement of minority architects by championing diversity within the design professions, promoting excellence, community engagement, and professional development of its members. 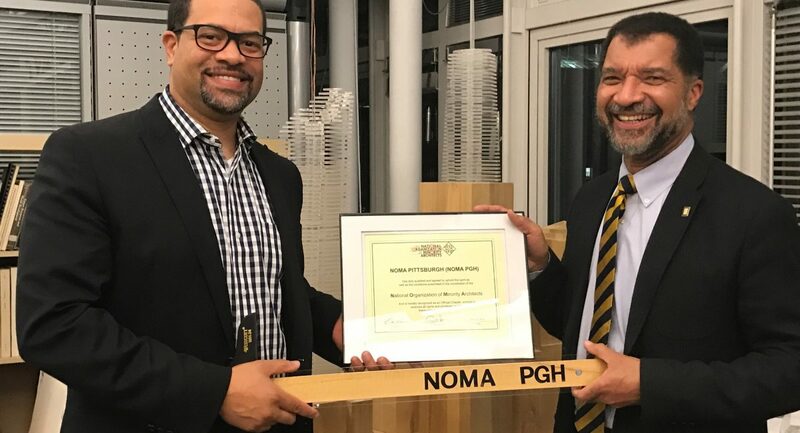 The Pittsburgh Chapter of NOMA is focused on addressing the specific challenges for minority architects in Pittsburgh, better connecting design professionals to opportunities, and inspiring youth to enter the profession. 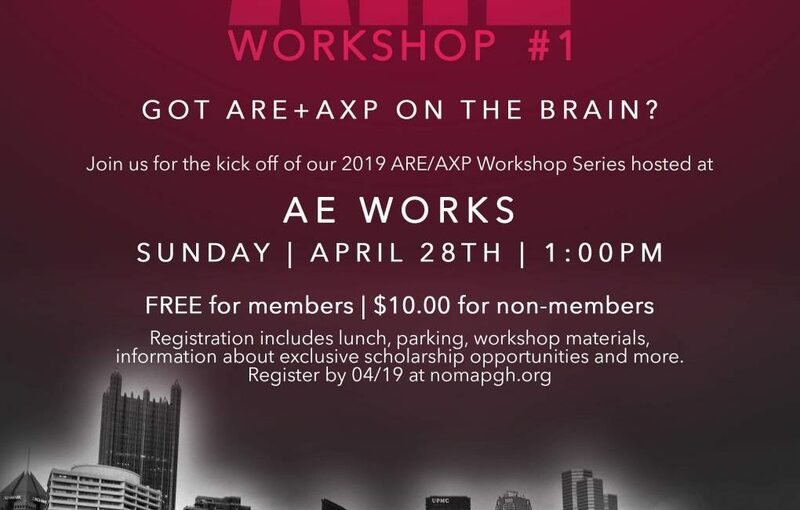 Our goal is to expose Pittsburgh to the talent we offer, providing visibility to and supporting our members as they engage the places where they work, and the communities where they live. As president of NOMA PGH, it is my aim and focus to propel the organization forward with its mission, to help remove the barriers that currently exist in Pittsburgh which impede the progress for minority architects, and to bring attention to the talent that exists within the NOMA PGH membership body. My intent is to connect our membership to what’s happening in our city so that they may play a more meaningful role in the development of our neighborhoods. Pittsburgh is at a crucial point in time where changes are occurring within many of the neighborhoods that have been neglected for many years. Therefore, NOMA is even more relevant for Pittsburgh right now than ever. My hope is to open the lines of communication between our members, and individuals and organizations that may not be traditionally exposed to, or understand the issues that exist for people of color within our profession. Pittsburgh is at a crucial point in time where changes are occurring within many of the neighborhoods that have been neglected for many years. Therefore, NOMA is even more relevant for Pittsburgh right now than ever. It is fully understood that change cannot occur within a vacuum. With that understanding, NOMA PGH embraces partnerships and collaborations with those who share our vision and our desire for positive change. Together, we can be catalysts for change, both for today and in order to improve conditions for the next generation. I encourage you to visit and explore our website to become better acquainted with developments at NOMA PGH, our past achievements, our plans as we look to the future, and above all, our unyielding commitment to realizing our mission and vision.